Valla and Associates is a business law firm, specializing in assisting international mid-market companies that wish to enter, grow in, or leverage off of the United States market. With offices in San Francisco, New York and Los Angeles, as well as a representative office in Milan, Italy, we assist our clients in all phases of business and corporate growth, with particular focus on their commercial and contractual relationships, and any litigation needs. With a combination of sophisticated big firm and corporate in-house experiences, our lawyers offer a practical and efficient approach to resolving legal matters. 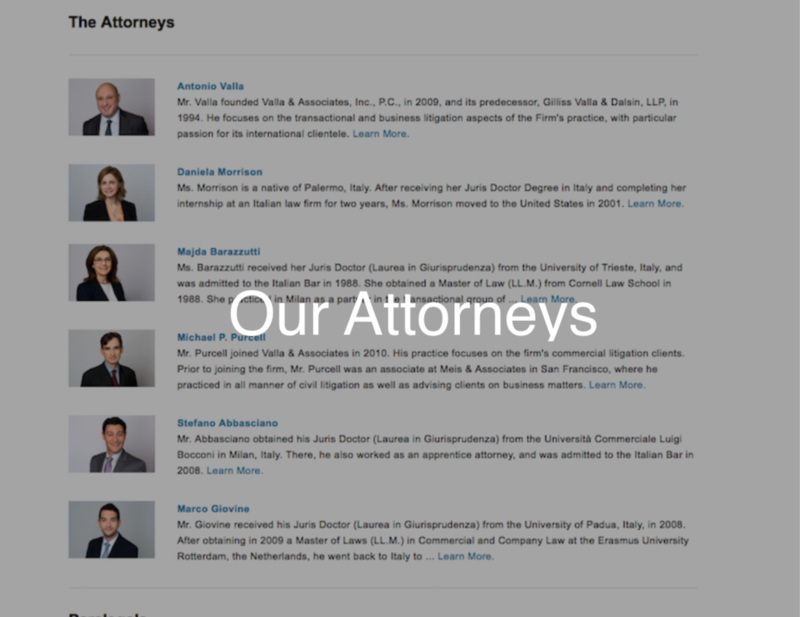 Many of our attorneys and paralegals have international backgrounds, including proficiency in Italian, Spanish, German and Cantonese.